Taschereau, Sylvie. "Sorel". The Canadian Encyclopedia, 04 March 2015, Historica Canada. https://www.thecanadianencyclopedia.ca/en/article/sorel. Accessed 21 April 2019. In 1781 Sir Frederick HALDIMAND, the governor of Québec, built a manor on the Richelieu (later used as a summer residence for governors general of Canada) and made plans to build a town he hoped would be populated by Loyalists. However, few such settlers came to the area. Sorel, Qué, Unincorporated Place. Sorel is the larger of 2 municipalities that merged to form the city of Sorel-Tracy (pop 34 076, 2006c) in 2000. Sorel is located on the south shore of the St Lawrence River, at the mouth of the Rivière RICHELIEU, 88 km northeast of Montréal. Pierre de Saurel, a captain in the CARIGNAN-SALIÈRES REGIMENT, gave his name to the seigneury granted in 1672. In 1781 Sir Frederick HALDIMAND, the governor of Québec, built a manor on the Richelieu (later used as a summer residence for governors general of Canada) and made plans to build a town he hoped would be populated by Loyalists. However, few such settlers came to the area. From 1787 the town was called William Henry, after a son of George III. It was renamed Sorel in 1860, the spelling slightly changed from that of the seigneury. In 1784 the first Anglican mission was established. 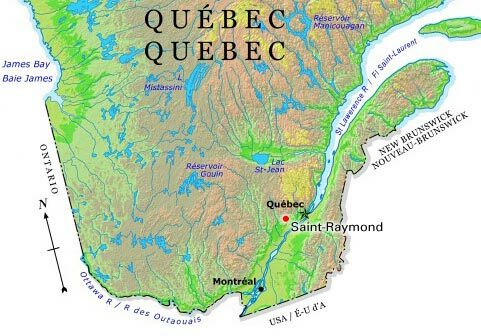 In the mid-19th century, the rapidly growing town was a terminal for river shipping originating in Lac CHAMPLAIN and profited from the trade between Montréal and Québec City. The lumber industry and shipyards also prospered - allowing Sorel to receive municipal status in 1889. In WWII, as a centre for wartime industry, it employed 20 000 workers. Shipbuilding and heavy industry are its principal activities. It also has textile plants, clothing, plastics, concrete and light manufacturing industries. Sorel has remained a busy year-round seaport and is the commercial centre for agriculture in the Richelieu Valley.